Your taste, styles and ideas are incorporated with our experiences and artistic vision to create your desired aesthetics. Every job starts with an initial site assessment in which we evaluate all conditions, and any other concerns. 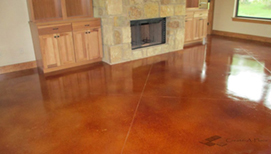 The site assessment is critical to the longevity of our concrete staining. 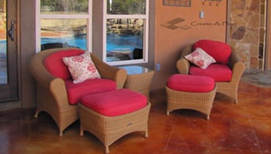 Our goal is to provide you with a custom look that meets your needs and budget. Once we understand your desires, we will provide recommendations on color, shapes, patterns, location, and additional structural elements. 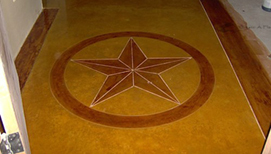 Custom Concrete Solutions is well known in the San Antonio area for our artistic imagination, integrity, and craftsmanship.